SummerWorks 2013 isn't all about theatre. Here are some musical acts you might want to check out during the ten-day festival. 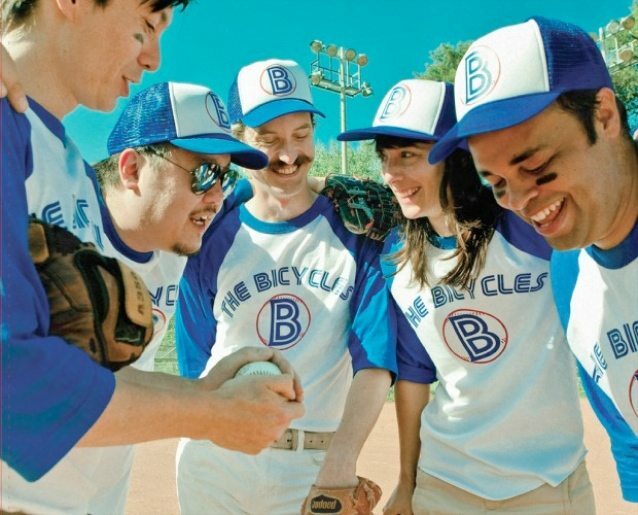 The Bicycles star in Young Drones at this year's Summerworks. Image courtesy of Summerworks. Although SummerWorks is best known as a theatre festival, the SummerWorks Music Series has developed a reputation for shows that combine music, theatre, and visual art in unexpected ways. Here are a few of them that we’re particularly looking forward to. During Maylee Todd’s Musical Planetarium (August 17, 8 p.m.), Toronto’s favourite disco revivalist will turn the Great Hall (1087 Queen Street West) into “her own personal summer dreamscape.” Todd has teamed up with Candles Are for Burning director/ElastoCitizen member Steven McCarthy and experimental filmmaker Tess Girard to create the planetarium part of the show, a live projection that will play while Todd performs a synthesized version of her latest album, Escapology. Todd is one of our favourite local acts, and she tends to do well performing in unusual circumstances. Girard, meanwhile, has won multiple awards for her film work, and has collaborated with acts like Do Make Say Think and the Art of Time Ensemble. If you only see one musical event at SummerWorks, this planetarium thing should probably be it. If the SummerWorks website is to be believed, Young Drones Starring The Bicycles (August 15, 10 p.m.) will feature both music by power popsters The Bicycles, and a pair of unmanned drones launched by “Professor Southworth” (local singer-songwriter John Southworth). The whole thing is being put together by playwright/former Hidden Camera member Maggie MacDonald, Vag Halen’s Stephanie Markowitz, and multidisciplinary artist Amy Siegel. It takes place at the Black Box Theatre, which is located in The Great Hall. We make no guarantees for your safety. Indie-folk ensemble The Wooden Sky will lead concertgoers around the neighbourhood adjacent to the Lower Ossington Theatre (100 Ossington Avenue) for The Wooden Sky’s Traveling Adventure Show (August 16, 7 p.m.). The massively ambitious project is a collaboration with Jennifer Brewin, who is the artistic director for Theatre Columbus, and Michael Rubenfeld, a writer and director. It’s inspired by the band’s Bedrooms and Backstreets tour. For folks who are more in the mood for (sort of) traditional musical theatre, A History of Summer (August 10, 7:30 p.m.) is a musical look back at a century in the life of America’s first gay resort towns, Cherry Grove and Fire Island Pines, located just off the coast of Long Island. It takes place at The Great Hall.